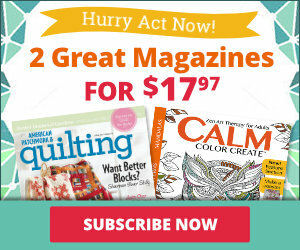 Stock up these handy tools, gadgets, and notions that could save you time and money when you quilt or sew. What: This pattern for a versatile dual-purpose pincushion includes templates for four pincushion sizes and several spool sizes. Why: Keep spools of thread as well as pins and needles in the same place for easy access. Photo courtesy of Indygo Junction. What: With no-slip gripper dots, notches for rotary cutters, and easy-to-read markings, these rulers make it easy to transform 2-1/2” strips into units for blocks. Why: Quickly cut triangle-squares using the 45° Double Strip Ruler, quarter-square triangles using the 90° Double Strip Ruler, and units for Kaleidoscope blocks using the 45° Double Strip Kaleidoscope Ruler. What: Do you miss Dual Duty Plus thread? Coats & Clark has created a new three-ply thread with a polyester core and cotton covering to replace its classic thread. It debuts in April. Why: This thread is meant to bridge polyester’s strength and cotton’s sewability for piecing and quilting. What: The tiny hook on the Soft Touch Thread Pic slips easily through fabric layers making it perfect for hiding or removing stray threads without leaving marks or punctures in a quilt. 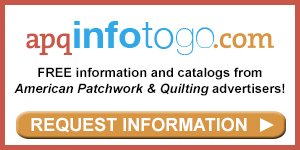 Why: If you’re a long-arm quilter or embroiderer, this will become your go-to tool. You can also use it to turn under appliqué edges. What: These needles, available in size Nos. 9–12 for sharps/appliqué, betweens/quilting, and quilting, are specially polished and have ultrathin black plating to make them 30 percent more friction-resistant than other needles. Why: The qualities that make these needles sew more smoothly also prevent rust so they last longer. What: An ergonomically balanced handle, a razor-edge retractable blade, and a chrome-over-nickel finish are welcome upgrades to the basic seam ripper. Why: Reduce the frustration of ripping out seams—the slightly rounded blade reduces snags and snips. What: The tacky-back Teflon sheet grips your machine’s sewing bed so your quilts moves effortlessly as you free-motion quilt. 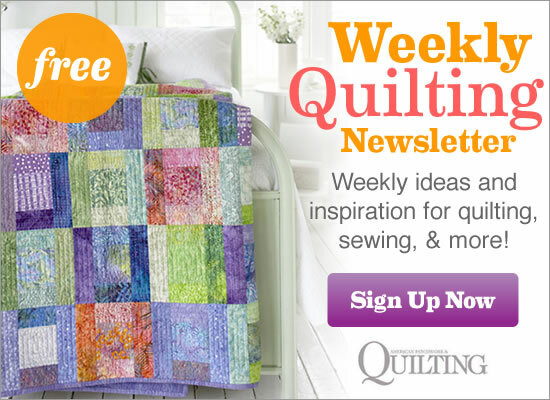 Why: This notion takes the friction, and so the frustration, out of machine quilting. Photo courtesy of LaPierre Studio. What: This 3/16”-wide cording is covered in fusible web. Simply wrap fabric around the cording, pin the layers to your ironing board, and use the tip of an iron to press the seam allowance closed. 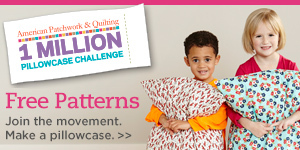 Why: Spend less time prepping for pillows and bags and more time sewing. What: With an adjustable handle, four temperature settings, and a digital control pad, Dritz’s Petite Press packs a lot of heat for its size. Why: Say so long to schlepping a full-size iron to classes and retreats. 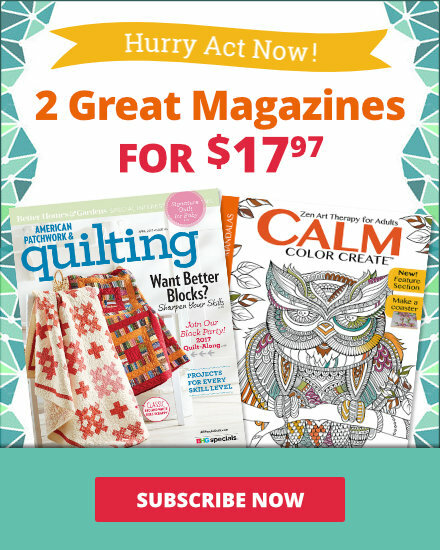 What: From machine piecing and quilting to appliqué and hand embroidery, Aurifil’s Kit Art Amazing Threads collections offer thread that’s up to the task. Each kit features 12 colors of thread chosen by Pat Sloan, Edyta Sitar, or Marianne Byrne. Why: The kits also coordinate well with fabric lines made by the designers. What: Sewline’s Gift Set contains smooth-writing, water-soluble fabric pencils (including a three-in-one style); easy-to-hold glue-stick pen; pencil eraser; and lead refills. Why: This handy set offers storage and savings for appliqué enthusiasts.